Republic Day in Turkey is celebrated on October 29. It is a public holiday that commemorates the proclamation of the Republic of Turkey in 1923. The celebration begins at 1:00 pm on October 28 and lasts thirty-five hours. Following the defeat of the Ottoman Empire in the First World War, the Turkish War of Independence began. The independence struggle was led by Mustafa Kemal Atatürk who is regarded as the founder of modern Turkey and the Father of the Nation. Turkey effectively became a republic in 1920, when Atatürk established the Grand National Assembly of Turkey. However, the new parliament was not recognized by the Ottoman leaders. The war ended in 1923 with the signing of the Treaty of Lausanne that recognized Atatürk's government. On October 29, 1923 Atatürk officially proclaimed the Republic of Turkey and became its first president. 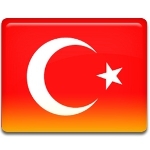 Turkey's Republic Day is a national holiday widely celebrated throughout the country. It is also celebrated in Northern Cyprus, a self-declared state recognized only by Turkey. Celebration typically includes official ceremonies, parades, performances, public speeches, processions, and firework displays. Many people visit Atatürk's mausoleum or lay wreaths at one of his monuments.